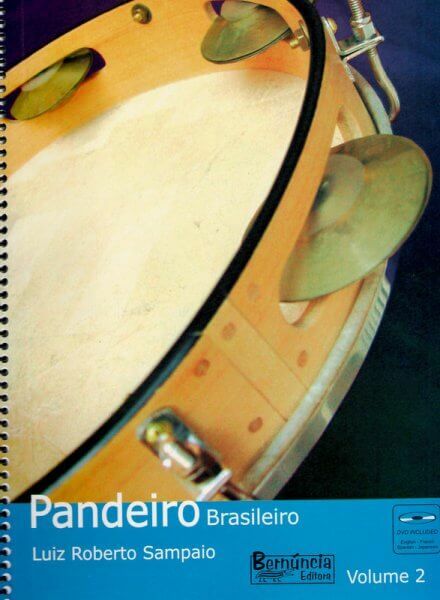 The method book/dvd "Pandeiro Brasileiro Volume 2" is a continuation of Volume 1. 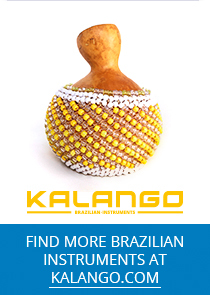 It continues its focus on the research of Brazilian rhythms (samba/choro, baião, maracatu and funk) and a careful elaboration of the studies of diverse techniques (tip of finger, rulo, slap, triplets and subdivision). Thus, the student will be able to perfect and to surpass the eventual difficulties that appear during the study of the pandeiro. Beyond the development of the exercises and original rhythms of Volume 1, studies for two pandeiros, have been developed, which serve to perfect the reading of the student. The objective is to fortify and stimulate the pandeiro as a solo instrument. Included with the book is a DVD in five languages (English, French, Spanish, Japanese and Portuguese). The written notation was developed with simplicity in mind, so that even a student with little fluency in musical theory, will be able to practice its content.